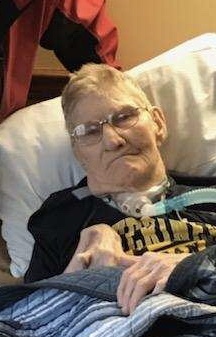 Ernest Blanton, 82, of Delphos, passed away on April 6, 2019, at Vancrest Healthcare Center. He was born on April 27, 1936, in Kentucky to Erving and Ada (Gibson) Blanton; they both preceded him in death. Ernest is survived by twin daughters; three sisters, Lillie Hoard of Breckinridge, MI, Maxine McAnney of Riverdale, MI, and Pauline (John) Jimenz of Bridgeport, MI; sister-in-law and close friend, David and Angela Olge and their son, Nicholas. He was preceded in death by his favorite German shepherd, Bear. Ernest had worked as a roofer for many years and had served in the Marines. Private services and burial will be at a later date. Arrangements are with Harter and Schier Funeral Home. Memorial contributions may be made to the Delphos Veterans Council.